1 Man living with a Grizzly bear | This Blog Rules | Why go elsewhere? 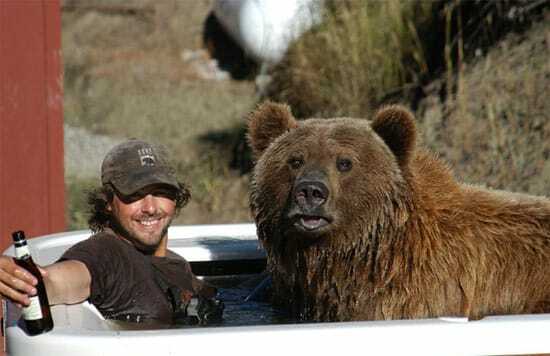 This 800 pounds grizzly bear called Brutus is Casey Anderson’s best friend, believe it or not. The famous naturalist and his furry friend are inseparable from the day Brutus was a 2 weeks old cub. Casey saved the bear from an overpopulated wildlife park, and raised him with lot of attention, love and respect.